If you receive a 1099 from us, you may have questions about why you received this form or what it means. The following information explains Forms 1099-R and 1099-INT for life insurance and annuity policy owners and answers the most frequently asked questions about these forms. If you have any additional questions, please consult your Tax Advisor. You may also contact Life and Annuity Operations, however please be advised that our representatives are not licensed to give advice on tax reporting. If you own a life insurance policy, the 1099-R could be the result of a taxable event, such as a full surrender, partial withdrawal, loan or dividend transaction. If you own an annuity, the 1099-R could be the result of a full surrender, a partial withdrawal or the transfer of the contract to a new owner. If an annuity is owned by a "non-natural person," such as a trust, then any gain in the contract is taxable. If you are receiving payments from your annuity, the taxable portion of those distributions will be recorded on the 1099-R. This is the total amount of the policy/contract distribution before deducting any loans or loan interest. This number may differ from the policy's net surrender value. For traditional products, this is the difference between the amount of premiums paid into the policy less the value of the dividends credited. A negative amount indicates the dividends credited exceeded the premiums paid. For variable products, this is the total amount paid into the policy/contract. Note that any rider premium(s) would be excluded. Each code identifies the type of distribution the policy/contract owner received. Phoenix sends a separate Form 1099-R for each type of distribution taken throughout the year. The interest earnings may have resulted from dividends left on deposit with Phoenix, from values in a Premium Deposit Fund or from interest paid on a claim or policy/contract surrender. This is the total policy/contract interest paid during the calendar year. This shows the interest or principal forfeited because of early withdrawal. Tax withholding is an amount of money withheld from distributions and paid to the government towards the policy/contract owner's current tax year liabilities. The owner may request withholding on distributions; withholding may also be mandated based on the status of a current policy/contract. Information in this box refers to backup withholding. If you do not provide a taxpayer identification number (TIN) or have provided an incorrect TIN, a payer must backup withhold at a rate of 28%. To provide or correct a TIN, please complete an IRS Form W9. 1. What if I think Box 5 on my Form 1099 is not correct? If you believe the information on your Form 1099 is incorrect, please contact your Tax Advisor. If after review, you and your advisor believe that an error has occurred, please contact us. Phoenix will research the appropriate information for your policy/contract and send you an explanation. If a change needs to be made, Phoenix will send you a corrected Form 1099. Please note that if the policy/contract was issued as an 1035 exchange, we may not have received the necessary information from the previous carrier. In this case, you would need to contact the carrier(s) and have the information sent to Phoenix. 2. What should I do if my tax ID or SSN is incorrect? Corrections to your Tax Identification Number/Social Security Number must be submitted on a signed Form W9. This form is available on the Web at www.IRS.gov or by contacting Phoenix. Upon receipt of Form W9, Phoenix will make the necessary corrections. 3. Why did I receive a Form 1099-R if my life policy lapsed and I received no money? If at the time your policy lapsed there was an outstanding loan and a taxable gain, you would receive a Form 1099-R. While a policy is active, generally any cash loans or loans to pay premiums would be considered non-taxable. When a policy terminates or lapses, any outstanding loan on a policy with a gain is considered a distribution and becomes a taxable event. 4. Why did I receive more than one 1099-R? You may receive multiple Form 1099-Rs if you took distributions for more than one type of product, the distribution code is not the same, or there are different service phone numbers. For example, if you took a distribution from your life insurance policy and from your annuity contract, you would receive more than one Form 1099-R. Also, if you took a distribution which has a distribution code of 7 (normal distribution) and another with a distribution code of 1 (early distribution), this would result in the issuance of more than one Form 1099-R, regardless of product. 1. I exchanged my policy under Section 1035 as a non-taxable event. 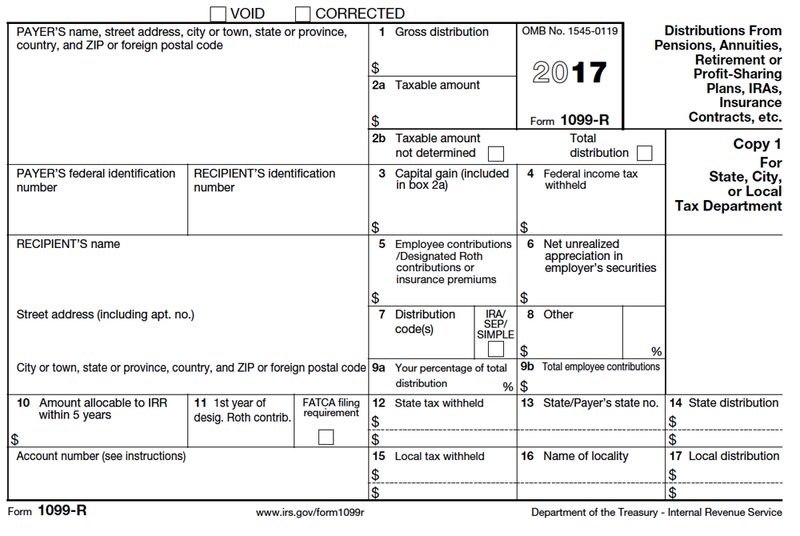 Why did I receive a Form 1099-R? Phoenix is required to report all exchanges processed under Section 1035 of the Internal Revenue Code (IRC). In most instances, these exchanges are reported as non-taxable events. As a result, the taxable amount field would be left blank. You can verify this by referring to the Distribution code(s) (Box 7) on the form. 2. Why is my form 1099-R showing a taxable amount when it was exchanged under Section 1035 as a non- taxable event? An exchange may be taxable, if at the time of the exchange, there was a loan and a gain. The taxable amount would be the lesser of the two. For example, if at the time of the exchange the gain is $5,000 and the loan balance is $6,000, the gain of $5,000 would be reportable as a taxable gain. If, at the time of the exchange, the loan was transferred over to the new contract/policy, the exchange would remain a non-taxable event. Contact Phoenix to request a corrected Form 1099-R.
3. I transferred my qualified plan to another company. Why did I receive a Form 1099-R? Phoenix is required to report all exchanges processed under Section 1035 of the Internal Revenue Code (IRC). In most instances, these exchanges are reported as non-taxable events. This can be verified by referring to the Distribution code (Box 7) on your Form 1099. 4. I transferred my qualified plan to another company. Why did I receive a Form 1099-R indicating a taxable amount? Your Form 1099-R should show a taxable amount of zero. If you believe your taxable amount should be zero, please contact us. 5. Why didn't I receive a Form 1099-R when I made a direct rollover of my IRA contract to a contract with another company? A direct rollover from one IRA to another IRA is not reportable on Form 1099-R.
1.I did not take a distribution from my annuity contract, but I received a Form 1099R. Why? Although you may not have taken any distributions, you may receive a 1099… If the owner of the contract is an entity other than an individual (a corporation, for example), the contract loses its annuity status for tax purposes, and, in general, the gain is reportable each year. 2) If the ownership on a contract is changed, any gain at the time of the ownership change is taxable and reportable to the previous owner. 2. There is no Employee Contributions or Insurance Premiums (Box 5) amount shown on my Form 1099-R, and I made after-tax contributions to my IRA. How do I correct that? You should submit IRS Form 8606 with your tax return to report any after-tax contributions you may have made to your IRA. 3. I received a Form 1099-R with a Distribution code 7, and I am under the age of 59 ½. What should I do? Please consult your Tax Advisor to confirm the distribution code shown is correct. If it is determined that the distribution code is incorrect, please contact us to request an updated 1099-R.
4. 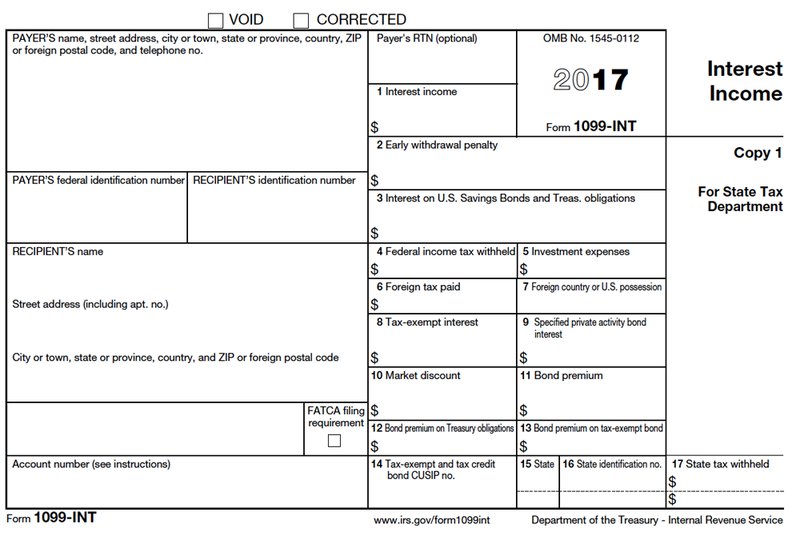 Why did I receive a Form 1099-R for my loan on my 403(b)? If your loan defaulted during the year, generally this results in a taxable event and you would receive a Form 1099-R.